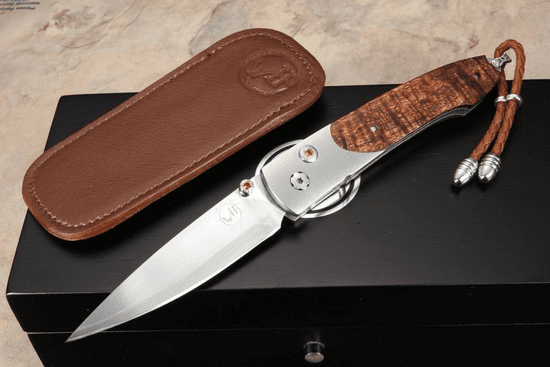 The William Henry B10 Curley Maple is a sleek, upscale folding knife that would make a wonderful addition for someone that appreciates a knife as both a fine tool and work of art. William Henry is known for their upscale blades, this particular model features curly maple wood on the handle, along with the aerospace-grade titanium bolsters and the hand satin finished blade of ZDP-189 steel. The blade on this WH folding knife is clean hand satin finished drop point blade shape in ZDP-189. These materials provide a strong yet extremely lightweight build. 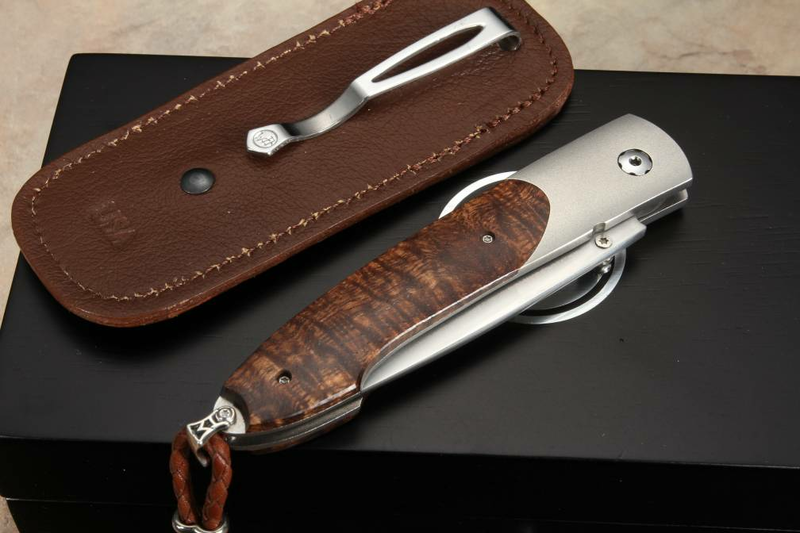 The knife has citrine inlays on the button lock and the thumb stud. 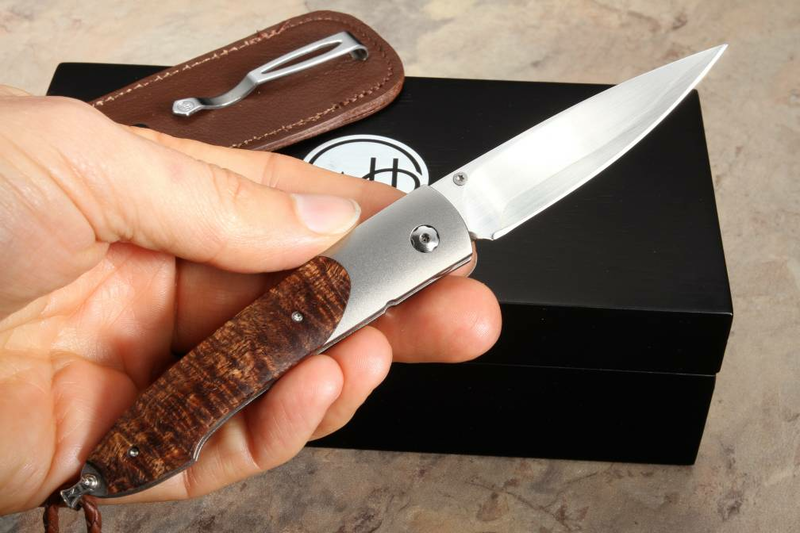 When you open and close this knife you can feel the precision manufacturing and high level of fit that went into this work of art. 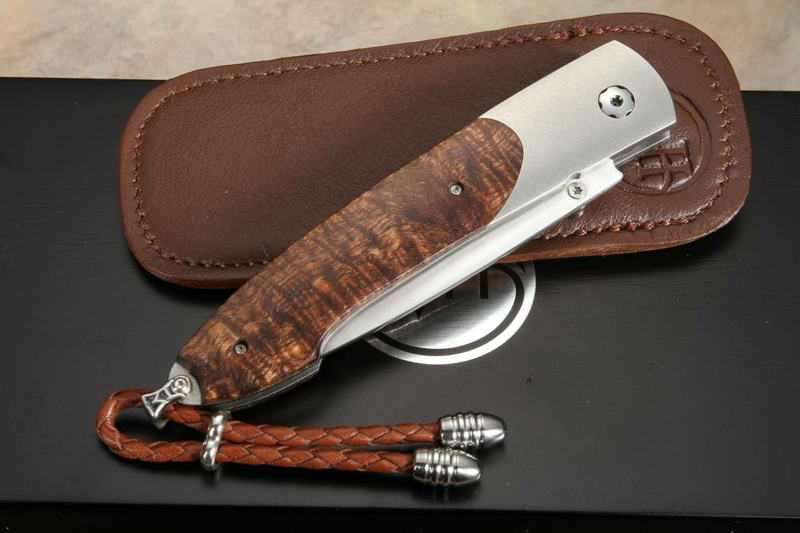 This William Henry Curly Maple folding comes with a brown leather clip case for convenient pocket carry. 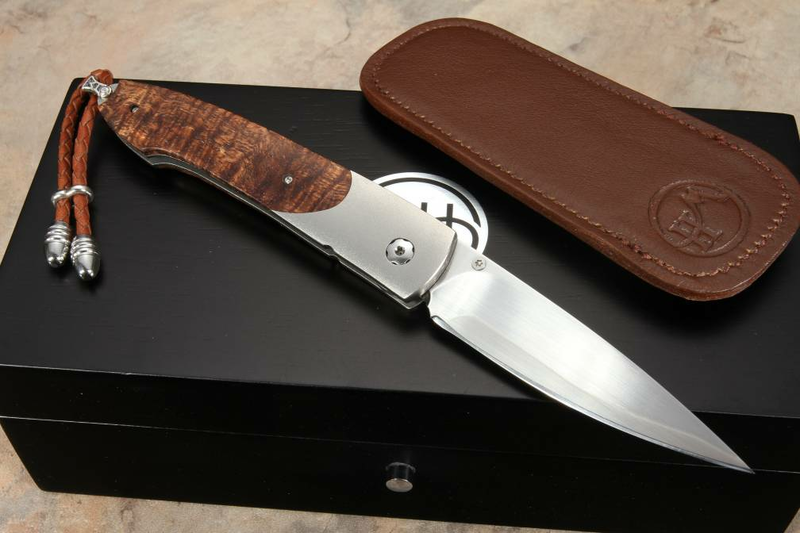 Each knife is individually numbered limited edition of 75 total knives and comes in an upscale wood presentation box. Order with confidence, we are an Authorized William Henry Dealer and offer free shipping and a satisfaction guarantee.